Week no. 1 of this summer’s “Here’s Looking at LU Photo Contest” generated 15 correct answers. 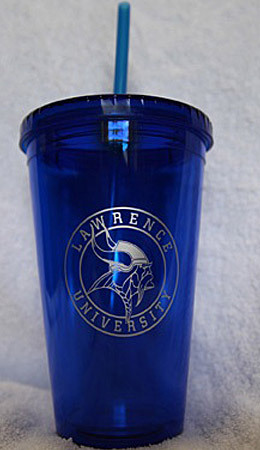 Congratulations to Lynn Hagee ’58, director of conferences and summer programs at Lawrence, chosen by a purely random drawing as the winner of the LU sports tumbler. She knew the photo was one of four concrete casts located in the Music-Drama Center “court yard” outside Stansbury and Cloak theatres. They are based on larger works created for Chicago’s McCormick Center. Congratulations to all who submitted a correct answer. Your names will be entered in the drawing for the grand prize at the end of the contest. If you didn’t correctly identify that photo, try you luck with the photo for week no. 2. The “Here’s Looking at LU! 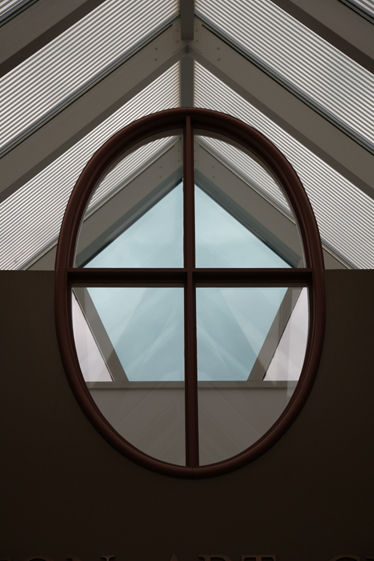 Photo Contest” is a fun way to see if people can identify photos taken of various locations and objects around campus. Weekly from now through the end of August, we’ll post a photo on the Lawrence website news page, and the headline “Here’s Looking at LU! Contest” on the website home page. How observant were you during your student days or on your visits to campus? Do you think you know the nooks and crannies of Lawrence University? The “Here’s Looking at LU!” is a fun summer contest to see if you can identify photos taken of various locations and objects around campus. For each of the next eight weeks, we’ll post a photo on the Lawrence website news page, and the headline “Here’s Looking at LU! Contest” on the website home page. Having overseen the enrollment of more than 10,300 Lawrence University students — nearly 40 percent of all Lawrence alumni alive today — Steve Syverson is looking forward to reading something other than high school transcripts and lists of extracurricular activities. After 28 years of shaping Lawrence’s student body as head of the college’s admission office, Syverson will retire at the end of June. 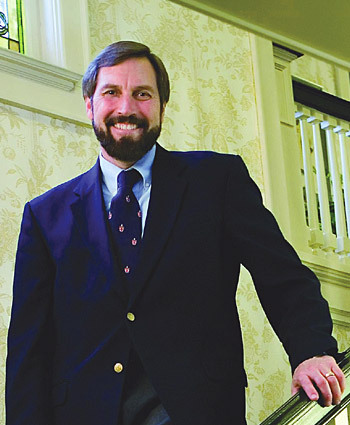 He is the longest serving dean of admissions in the college’s history. Steve Syverson, vice president of enrollment and dean of admissions and financial aid, is retiring June 30 after 28 years at Lawrence. Not only did Syverson’s career plans change, but the college underwent its own transformation, physically and demographically. Seven new buildings have been built since he joined the college. Applications during his tenure soared from 879 his first year to 2,800 this year. Lawrence’s enrollment in the fall of 1983 was 1,028 and 50 percent of the students were from Wisconsin. By 2010, enrollment had increased 48 percent to 1,520 degree-seeking students, with more than 70 percent of the freshmen coming from out-of-state. The goal of attracting bright, diverse and engaged students has remained constant the past two-plus decades, but the means of attracting them has undergone radical change since Syverson started. An outspoken critic of college rankings, Syverson has established himself as a nationally respected voice on the ethical treatment of students in the admissions process and has been interviewed numerous times for stories by The New York Times, Washington Post, PBS and others on the subject. He served as vice president of the National Association for College Admissions Counseling’s (NACAC) for admissions practices from 1988-91 and is a former president of the Wisconsin ACAC. In 2005, Lawrence joined a growing movement of selective colleges to adopt a “test optional” admissions policy and Syverson subsequently served on the national Commission on the Use of Standardized Tests in Undergraduate Admissions. A past president of the Fox Cities chapter of Habitat for Humanity, Syverson plans to remain involved with the organization in retirement, as well as committing serious energy toward promoting the Certified Educational Planner, a national credential for college counselors. “I believe strongly that every student should have access to good advice as they explore their post-secondary school options and the CEP will help families identify strong college counselors,” he said. Ken Anselment, director of admissions at Lawrence since 2004, succeeds Syverson as dean of admissions and financial aid on July 1.